Introducing a clip folder for knife people who prefer the look of a straight spine; the profile reveals a ""seamless"" design that begins at the back of the blade and continues along the length of the upper edge of the handle. In fact, the Evo Jr. actually has a little bit of the dagger in it. 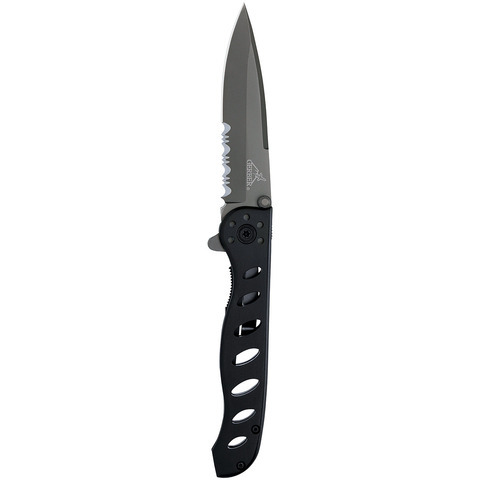 Finger flip opening, Titanium nitrade-coated blade, anodized aluminum cut-out handle. Evo Jr.: overall length: 6.35", closed: 3.6", blade: 2.75", wt: 1.8 oz.